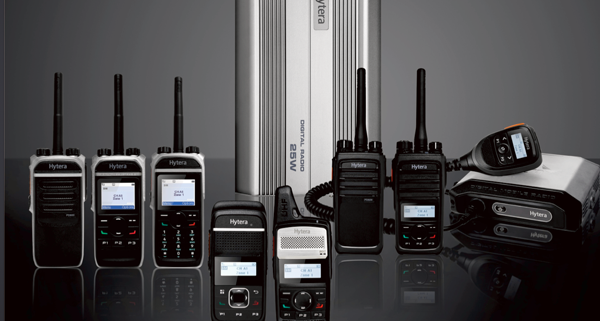 This blog post is all to explain how to migrate from analogue to digital two-way radios. Digital is the future and the present of two-way radio technology and migration to digital is something that can be done in an step-by-step process. We at Wall to Wall Communications like to ensure our clients have the most efficient and future proof two-way radios for their needs. We have found over time that there has been an on-going need for digital two-way radios. “Digital technology provides better noise rejection and preserves voice quality over a greater range than analogue”-Motorola Solutions. This makes digital two-way radios the most efficient choice for businesses. But how do you migrate your two-way radio fleet to digital if you are currently using analogue two-way radios? Well, we are here to tell you how. 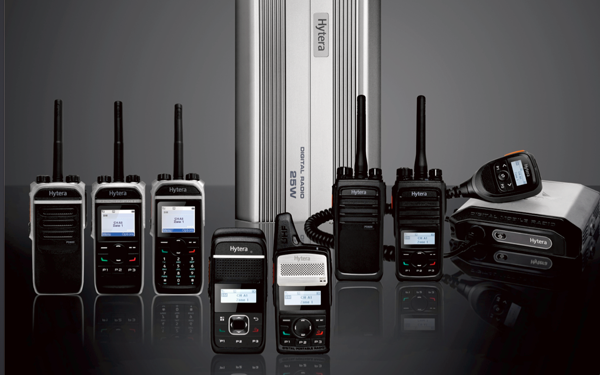 First things first, what is the difference between digital and analogue two-way radios? The main difference is the way that messages get transmitted. Analogue two-way radio transmissions are sent via a continuous wave of frequency modulation (FM). Whereas digital two-way radio transmissions are different their signals are represented by binary numbers which make up a ‘packet’ to transmit to the respondent. The packet contains an algorithm that is able to understand the differences between background noise and voice. Ultimately because transmissions are sent with packets, it means that anything can be transmitted and digital radios can have a much, much wider variety of features and capabilities. This may seem daunting or complicated but trust us it really doesn’t have to be. This is usually done in stages over a period of time to ensure a smooth transition. 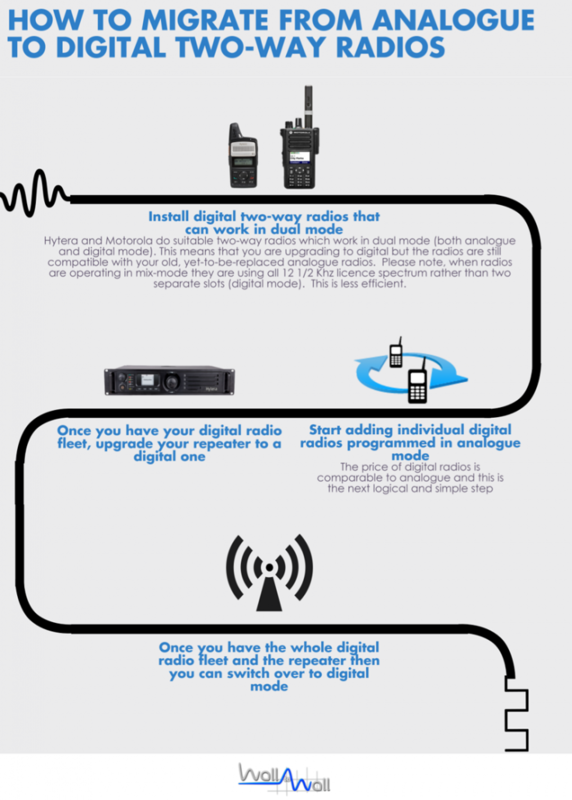 Please see the below inforgraphic designed to show you the step-by-step general process that would normally happen to migrate your two-way radios from analogue to digital. Another alternative method of migrating your analogue security radios to digital radios is by just getting a few digital security radios that can operate in dual mode and keep the analogue radios and operate in mix mode. However, this isn’t the most efficient method.